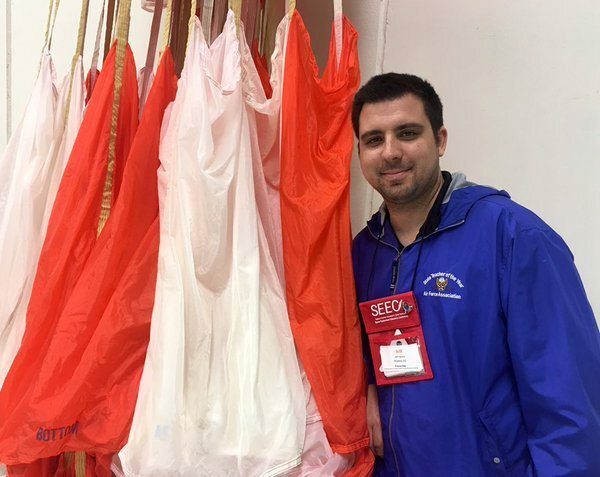 We are excited to have our STEM advisor, Jeff Herold representing The Mars Generation at NASA’s upcoming Orion Spacecraft parachute test on March 8, 2017. Jeff was able to gain media credentials from NASA through The Mars Generation. Jeff will get an up close viewing of the test as well as an opportunity to interview engineers, scientists and others involved in NASA’s Journey To Mars. This is a great opportunity to ask your questions and/or have your students submit questions and/or your own kids. Don’t miss the chance to be a part of this fun adventure. Tune in for the test on Twitter for live updates follow @TheMarsGen and search the #OrionTMG hashtag. You do not need to be a registered Twitter user to search and follow a hashtag. Share the updates with your students and/or your kids. Click here to submit questions for Jeff. On Wednesday morning, March 8th, at the U.S. Army’s Yuma Proving Ground in Arizona, I’ll be reporting on the second airdrop test of the Orion Spacecraft with it’s two low-speed drogue parachutes and three main parachutes as it prepares for landing the capsule. About a year ago, I was fortunate enough to visit the Johnson Space Center in Houston, Texas to see the facility where the parachutes are designed and manufactured. This time, I will be a witness to seeing them in action! For more information about the drop test event check out the NASA press release about this event. Jeff Herold is in his 17th year of teaching. He has taught everything from Kindergarten through 12th grade and community college. Currently, he teaches S.T.E.M. to 7th and 8th graders at Hillcrest Middle School in Glendale, Arizona. While not volunteering at local elementary schools at their science nights, he enjoys paragliding, attending professional development, and spending time with his family. His favorite student is his 6th grade son, Skyler. 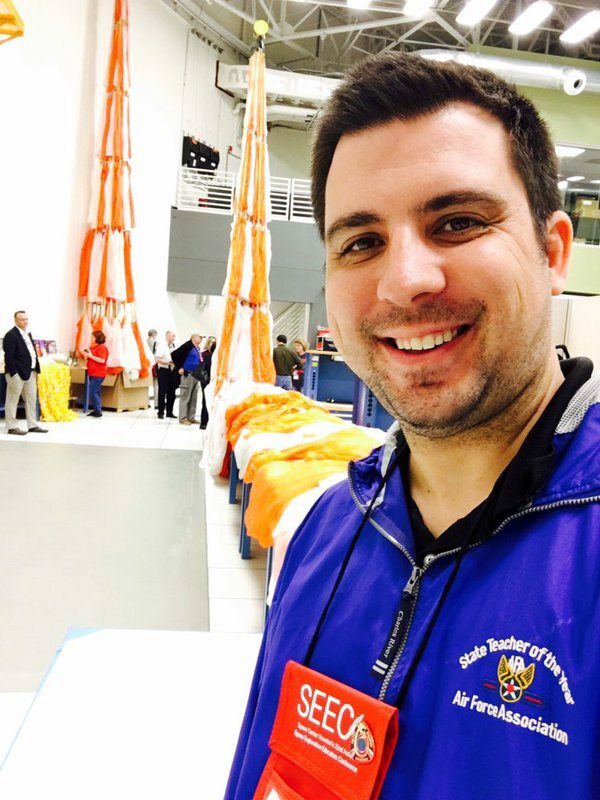 Jeff is the 2015 Arizona Air Force Association Teacher of the Year and 2015 Arizona Challenger Space Center Educator of the Year. Jeff is a member of The Mars Generation Student Space Ambassador Planning Committee and the Train Like a Martian Planning Committee. You can follow his S.T.E.M. adventures on Twitter @STEMJeff. If we become a member of TMG, what are the benefits we receive as an international student? will it be helpful for my Future ambition? The membership benefits are on the membership page – perhaps also check out our Free Student Space Ambassador program which may be more in line with your future ambition goals.